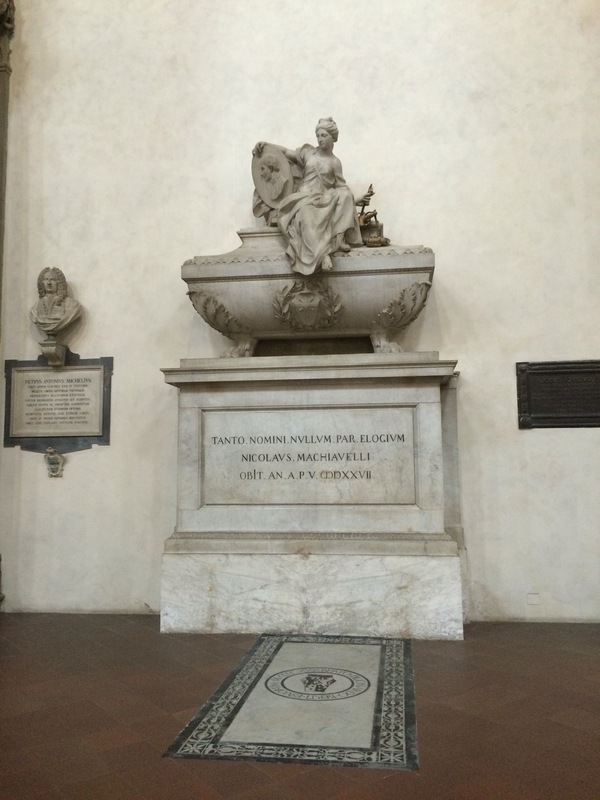 Once Upon a Time in Tuscany – Part II: Florence – that's what Mon said. 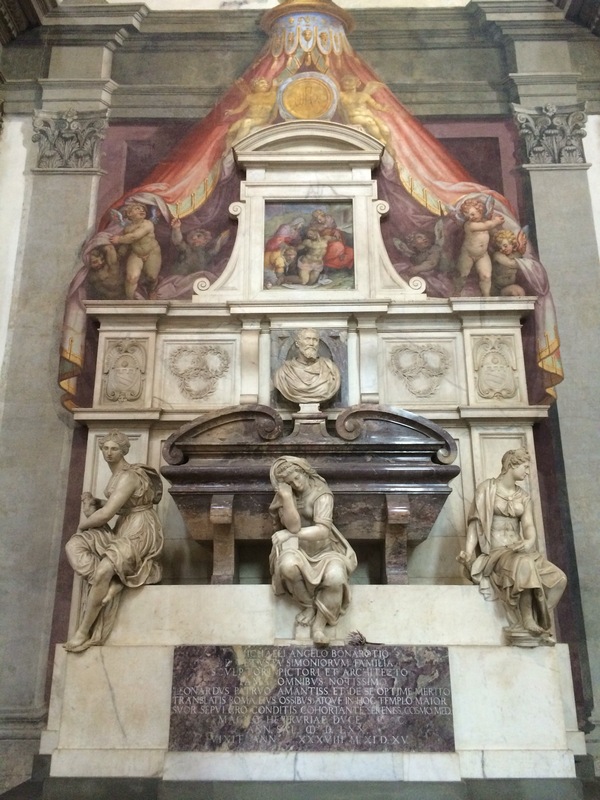 Florence is often recognized as the birthplace of the Renaissance, and echoes of this historical turning point are still vivid across the city today. 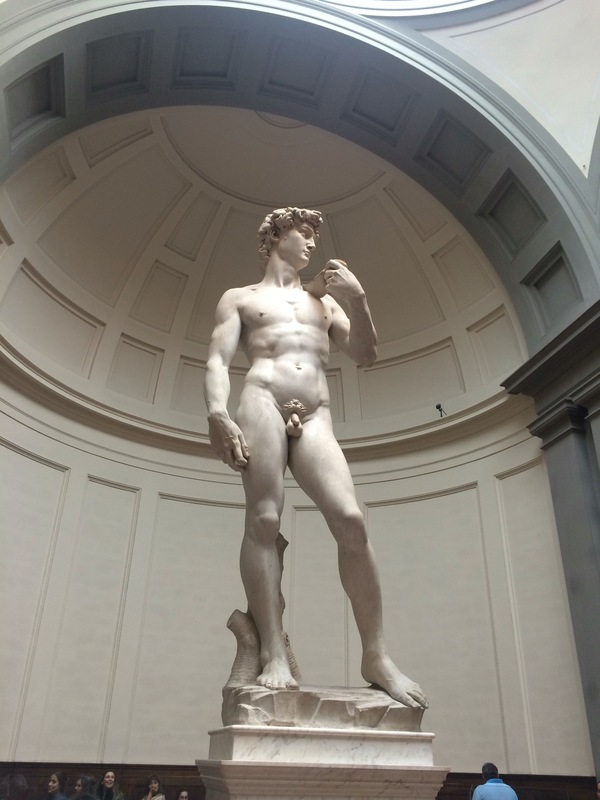 Historically rich in trade, arts and culture, Florence was once the European capital of commerce boasting the first currency recognized across the continent. The thriving wool trade helped to establish Florence as a leading banking capital, with Florentine banks across Europe. Members of twelve guilds, including those of bankers and textile-traders, governed Florence as its own city-state. Back then, as now, the Palazzo Vecchio was the centre of the local municipal government. 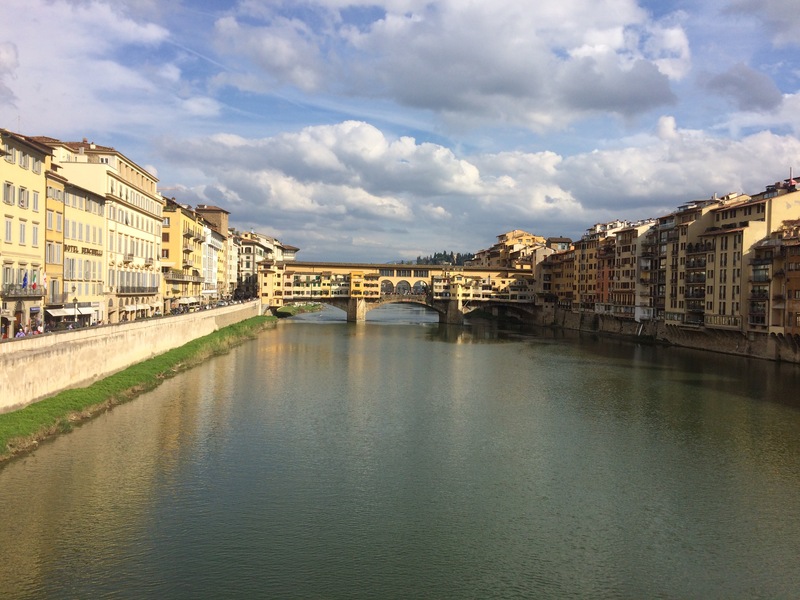 A short distance away from the Palazzo Vecchio, visitors can find Ponte Vecchio (below) which spans the River Arno at its most narrow point. The medieval-style bridge which today features sparkling jewellery shops is said to be the only bridge in Florence not destroyed by bombings during the Second World War. 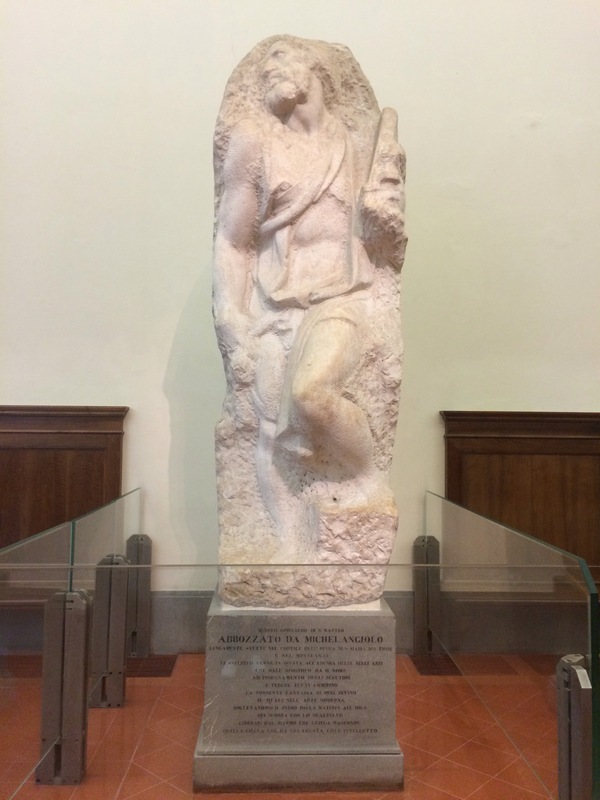 While it once stood next to the Palazzo Vecchio, Michelangelo’s David can now be found safely shielded from the elements in the Galleria Della Academia. Here you can also find four lesser known sculptures, left unfinished by Michelangelo, known today as “the Prisoners” (or prigionni). These sculptures are thusly named because in their unfinished state, they appear to be trying to escape the marble blocks from which they each were carved. Generally, I may be inclined to agree. 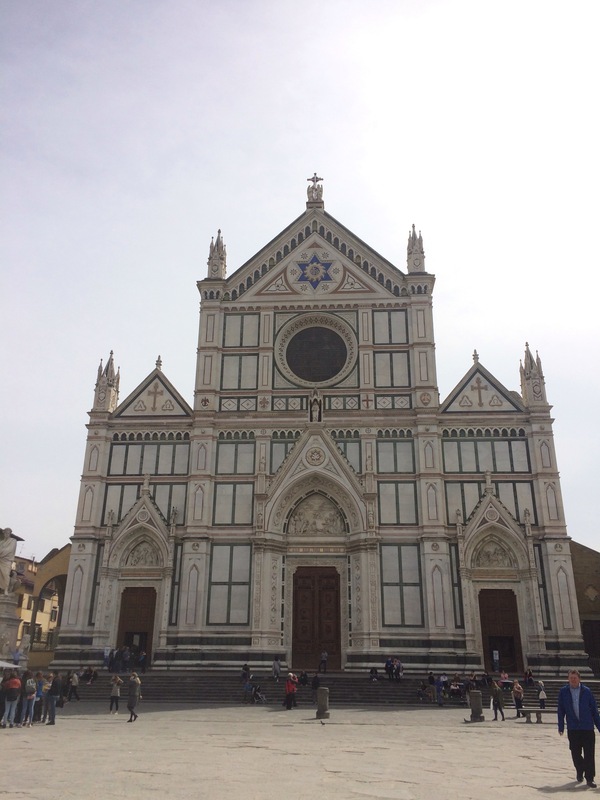 But if you are in Florence and have time to see just one church, I strongly recommend visiting the Basilica of Santa Croce. 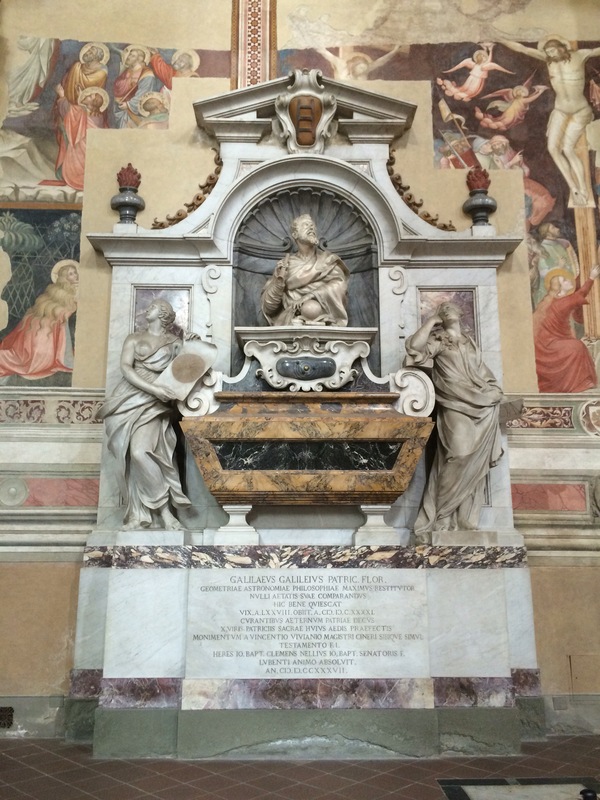 Beautiful both inside and out, Santa Croce offers a rarity that few (if any) other similar structures do – it is home to the tombs of some of history’s greatest minds: Da Vinci, Michelangelo, Donatello, Machiavelli and Galileo, just to name a few. If after all of that historic site-seeing, you’re in the mood for a different kind of excitement, I highly recommend taking a stroll around the Central Market (or Mercato Centrale) in Florence. 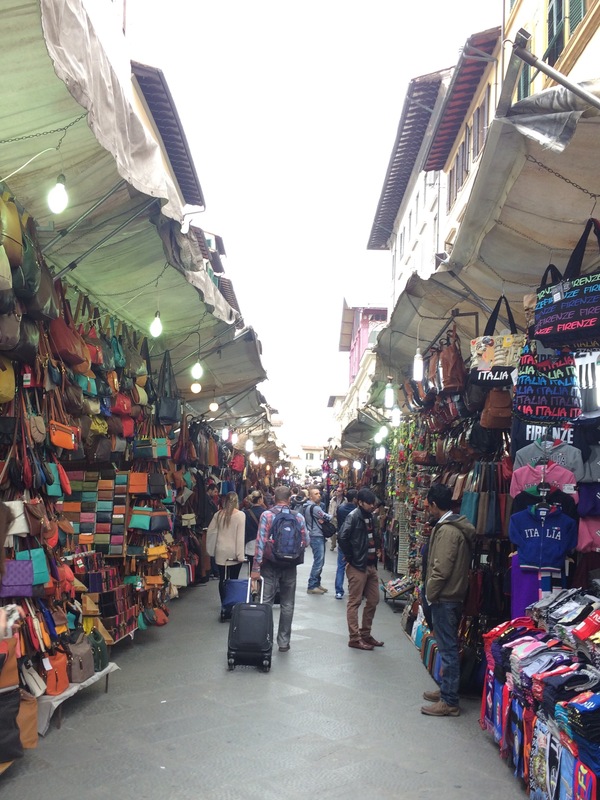 With its colourful displays and constant buzz of people, both tourists and locals can be found trying to haggle for the best deal in this lively marketplace. 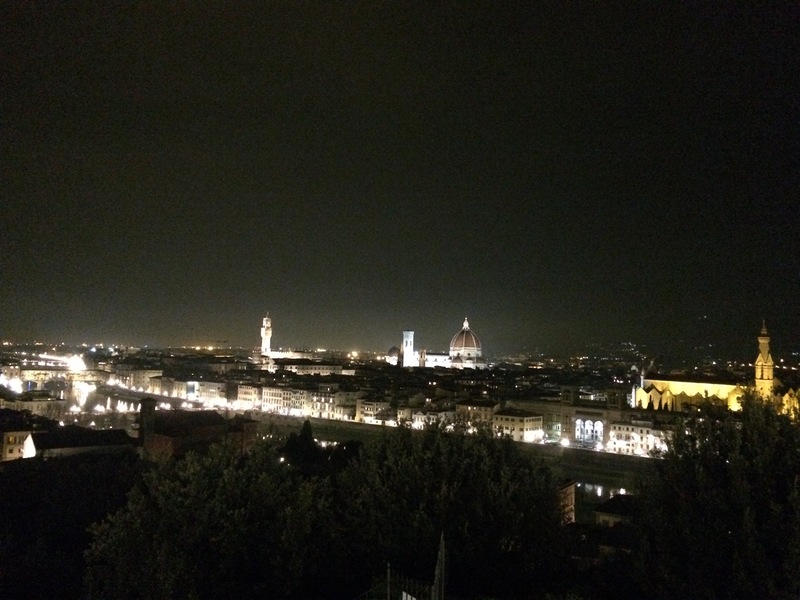 Finally, be sure to check out the best panoramic view of Florence from the Piazzale Michelangelo! Visit at night for an especially spectacular view of the city. Have you visited any of the places I’ve mentioned above? Are you planning to soon? Maybe you’re losing sleep over a place that I didn’t mention and you absolutely want the world to know about it! Don’t hesitate – leave me your questions or comments below! And stay tuned for the last installment of my Italy adventure series – Venice.